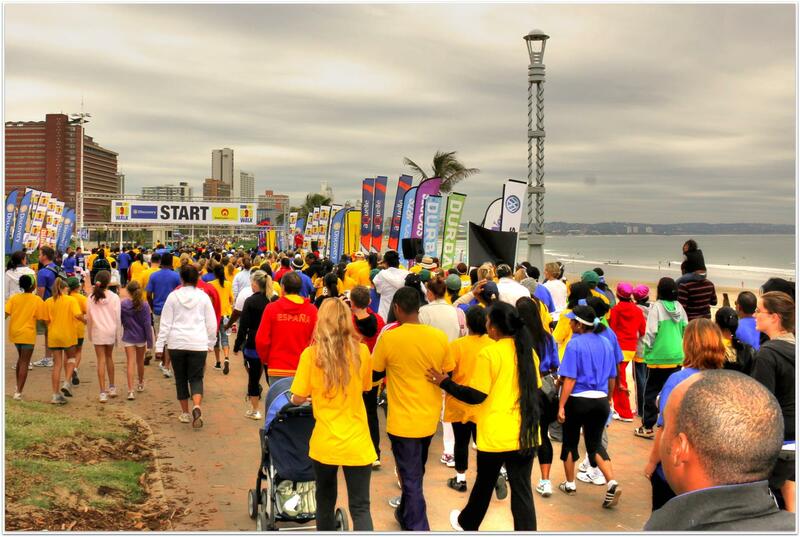 Runner’s World: “What began as a one distance, 1 800 person event, has now evolved into the biggest, fun-filled, family mass participation walking event in KwaZulu-Natal (South Africa) – just short of 20 000 participants will take to the streets and pass Durban’s scenic beachfront promenade”. ECR website: “You wouldn’t dream of walking through one of the most scenic parts of KwaZulu-Natal without anyone to share it with, would you? 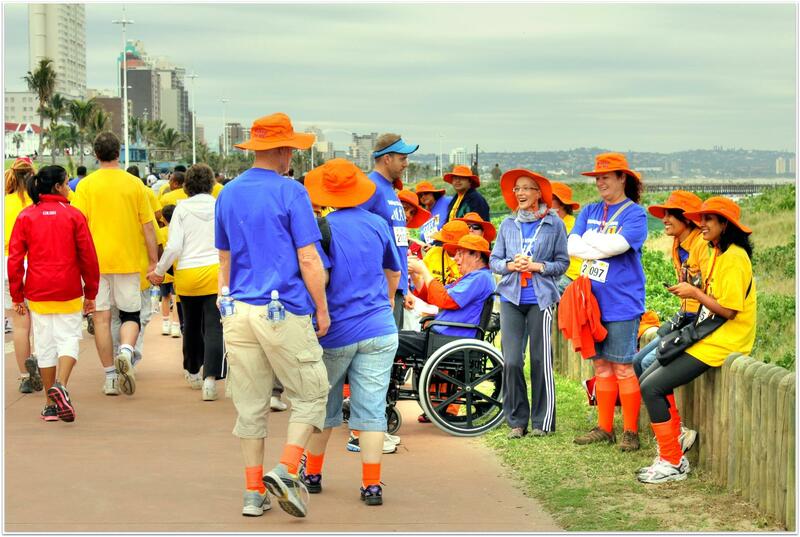 This year’s Discovery East Coast Radio Big Walk, on Sunday 26 May, is calling on you to get others to ‘Tag Along’ with you for the energetic day out. 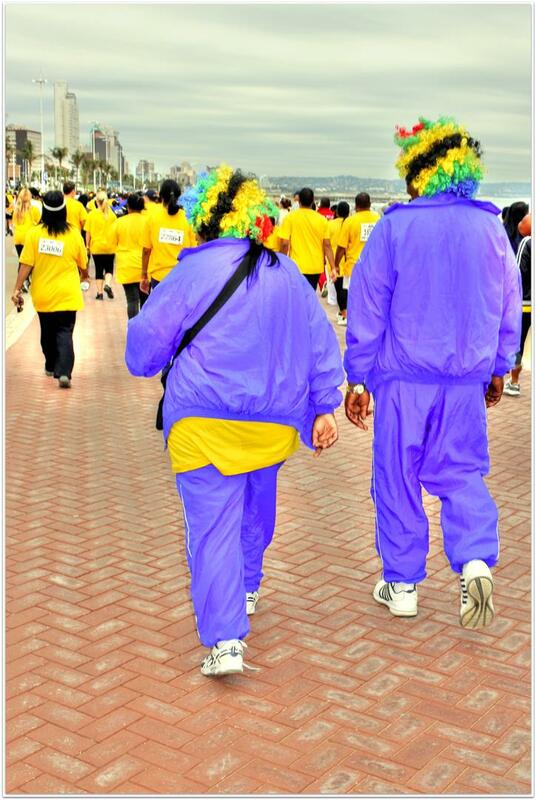 The highlight on the province’s events calendar brings together families and friends along Durban’s beachfront. 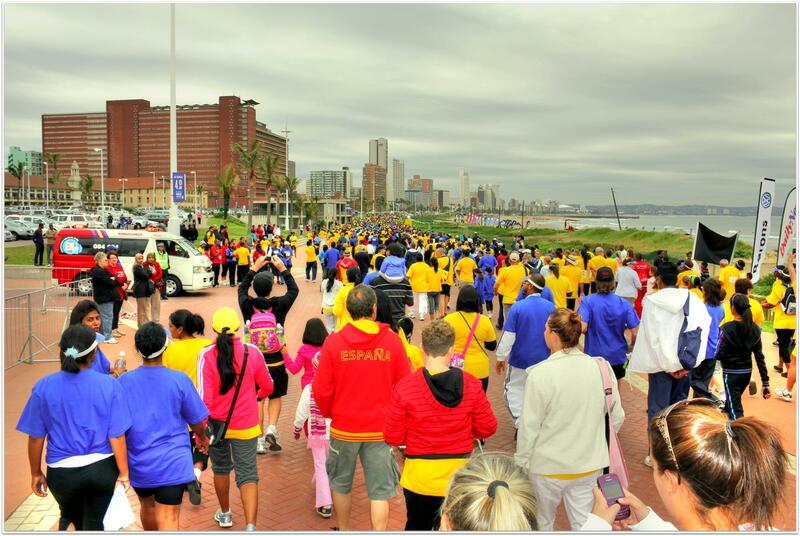 The Discovery East Coast Radio Big Walk will again offer walkers the choice of four distances – 5km, 10km, 15km or 20km. 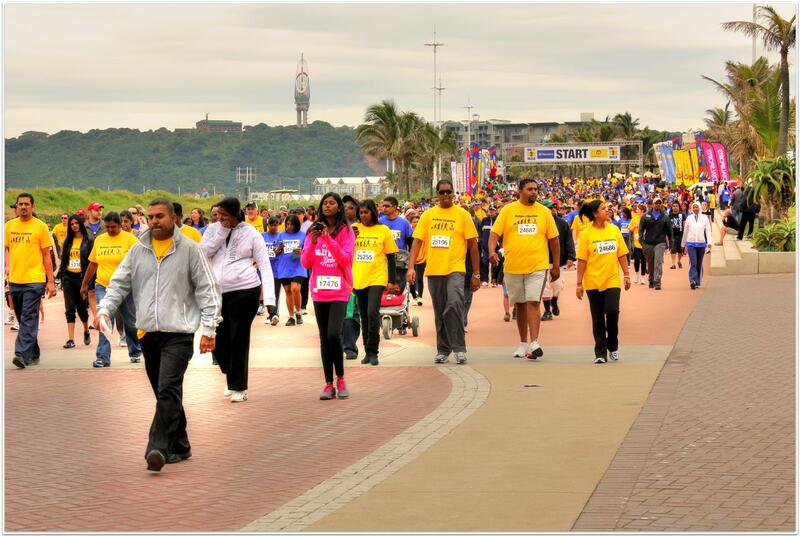 All routes start on the promenade near uShaka Marine World and will finish at People’s Park at Moses Mabhida Stadium. 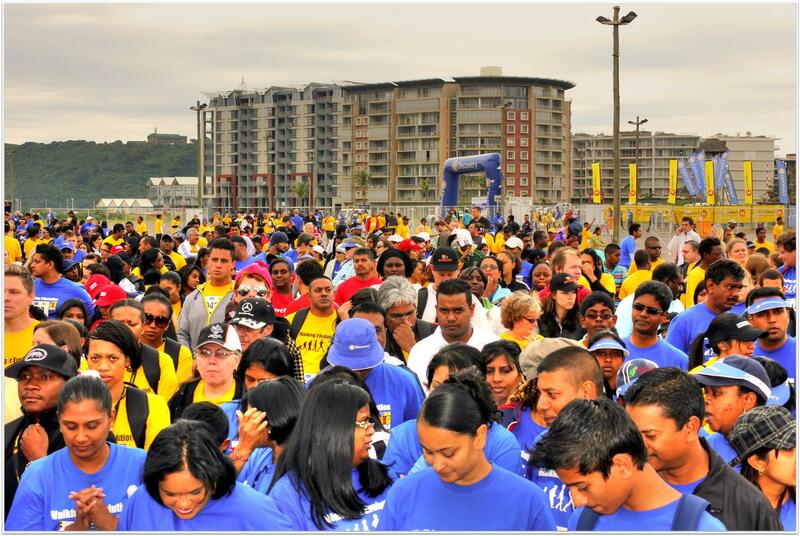 Since it started in 2004 the event has grown to become the East Coast’s favourite way to catch up with each other while being active. 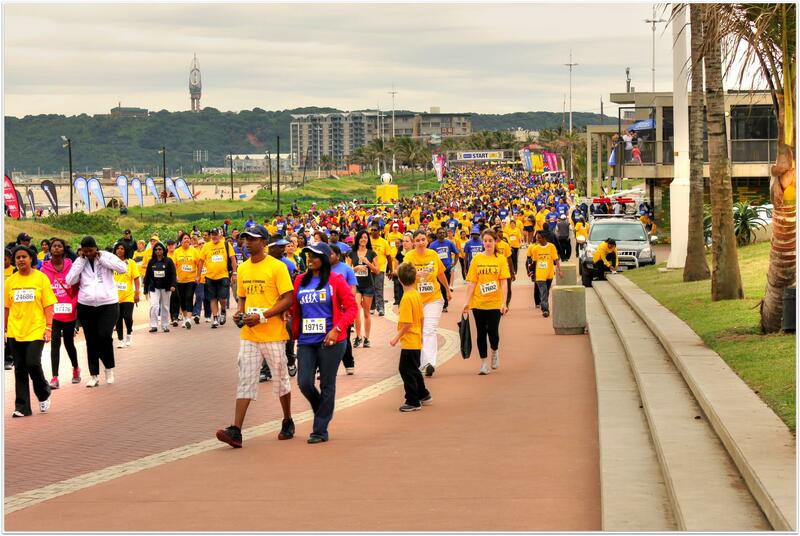 Last year a record number of walkers, more than 23 000, tagged along. 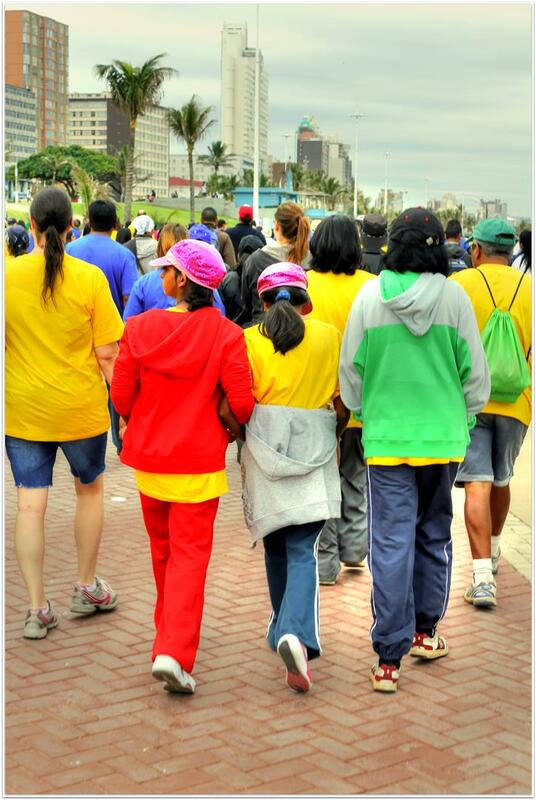 Participating in the walk is something you’ll want to share, so get your nearest and dearest to ‘tag along’ and then tag it on Facebook and Twitter. 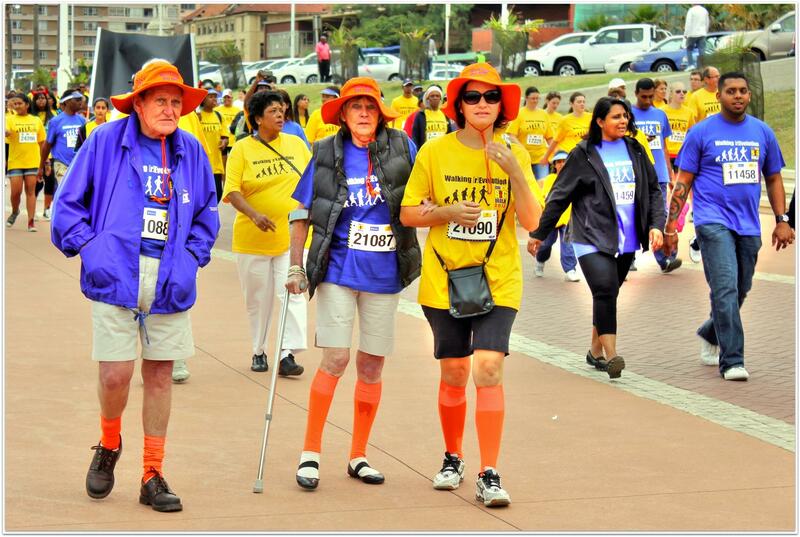 Entries open on 2 April 2013. You can enter at Totalsports stores across KwaZulu-Natal or enter online on this site. Listen out to East Coast Radio and watch the press for more details”. 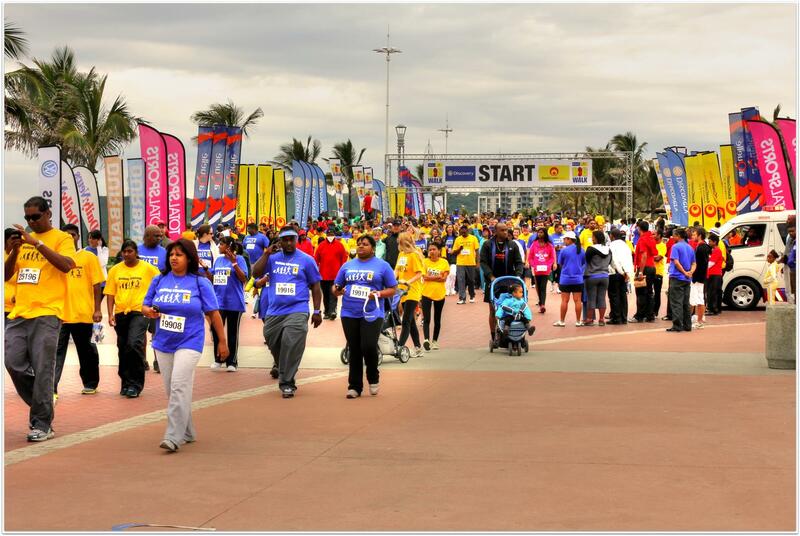 Below are some photos from the 2012 event. Hi Andy, this sounds like a great event. Amazing to think that 20,000 people will take part this year. Loved your photos. 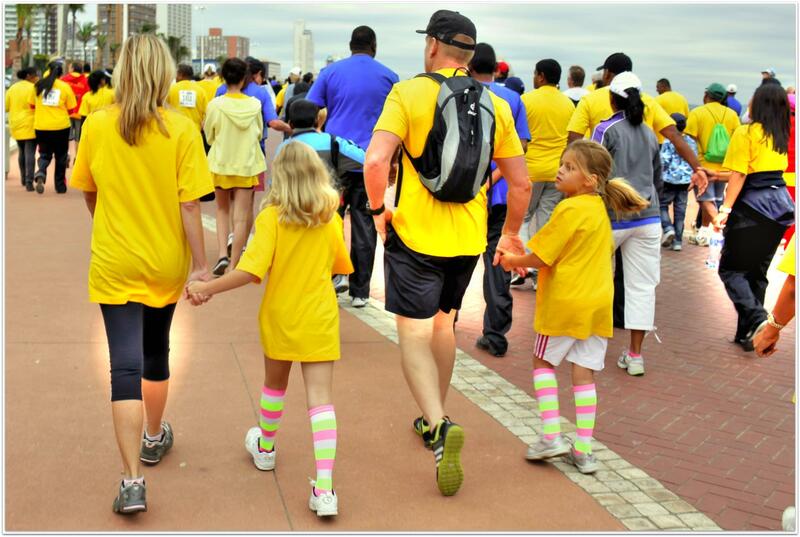 It looks like the walk is a real family event which is lovely to see. Yes, all ages – walk or go by pram!